Set in the distant future of 2563 Alita: Battle Angel is based off a 1990s Japanese manga comic by Yukito Kishiro. 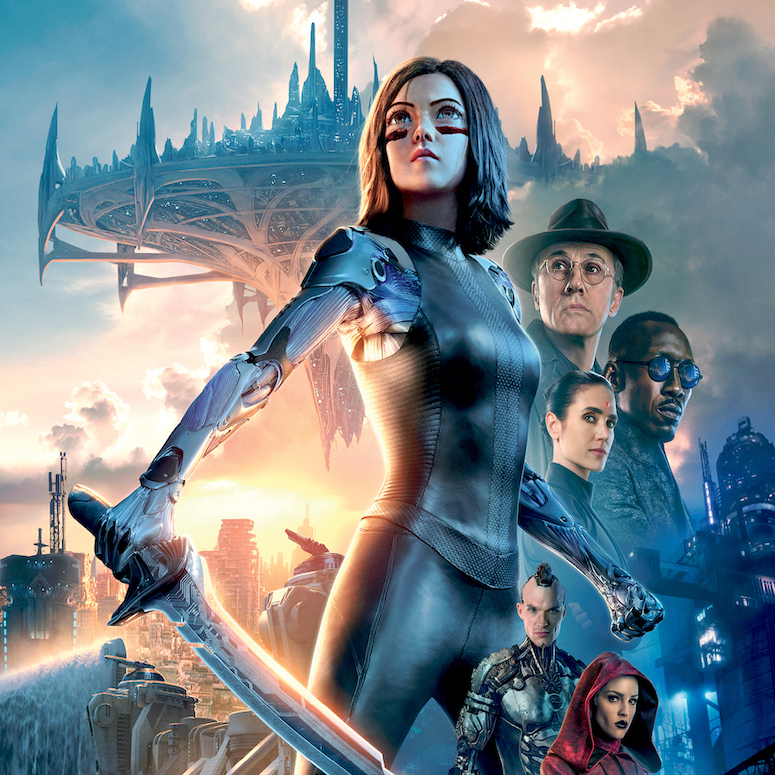 The film follows the story of Alita (Rosa Salazar), a cyborg who is saved from the scrap yard by cybernetics engineer/doctor Dyson Ido (Christopher Waltz). Alita, however, suffers severe amnesia meaning she has little to no recollection her previous life and thus Ido becomes her surrogate father and guiding force as she slowly discovers who she really is. The film is a visual masterpiece as it blends practical effects and sets with unparalleled CGI and motion capture performances. Salazar, in particular, is outstanding as she imbues Alita with a warm endearing nature, even with heavily CGI enhanced eyes and limbs. Alita: Battle Angel moves along at a rapid clip throughout its 122-minute runtime. The fast-moving plot allows for the film to reference a lot of the original source material. This certainly keeps the viewer interested as it moves between each elaborate and visually stunning action sequence. Unfortunately, the rapid pacing of the film comes at the expense of deep character development, although this doesn’t significantly hurt the film. Don’t wait to watch this one on DVD or on-demand! Alita: Battle Angel is certainly worth viewing in the cinema with 3D simply for the visual spectacle.